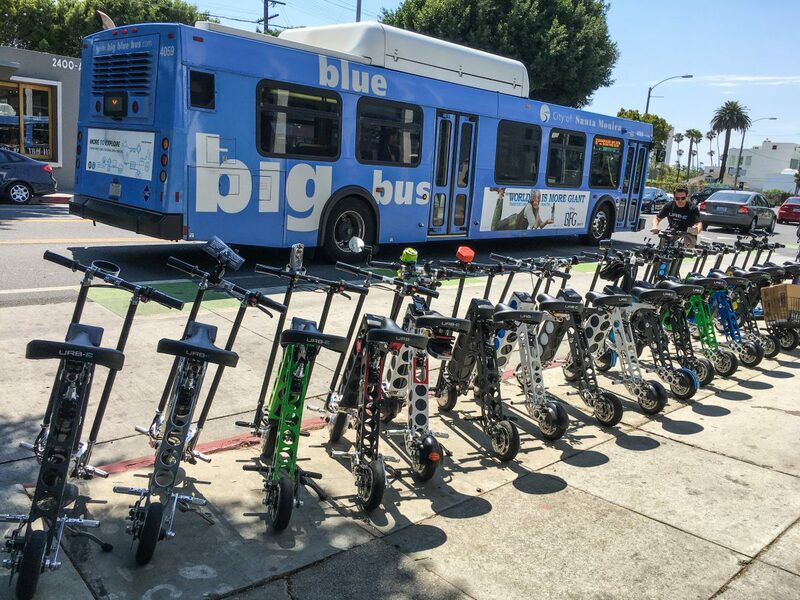 URB-E in Santa Monica | Our Biggest Ride Ever! 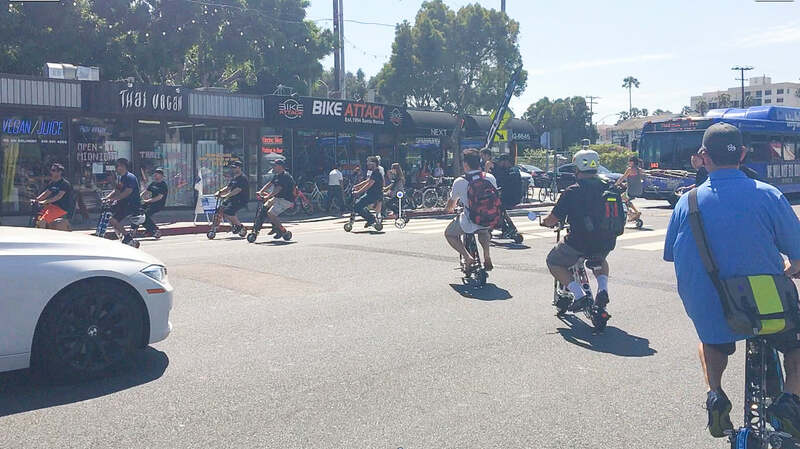 Last Saturday, URB-E slathered on the sunscreen and took to the streets for our biggest ride ever! 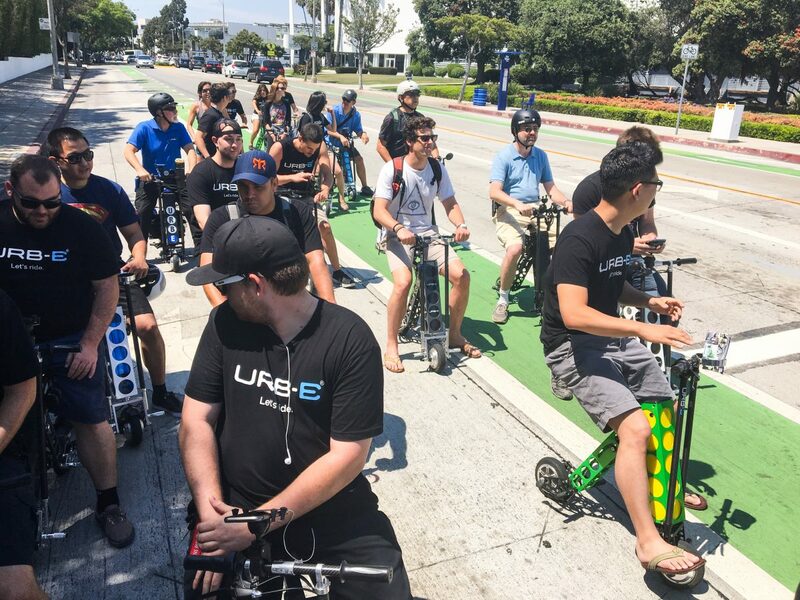 nearly 30 URB-E owners and team members met in Santa Monica to explore the city, cruise along the beach, and explore local shops. 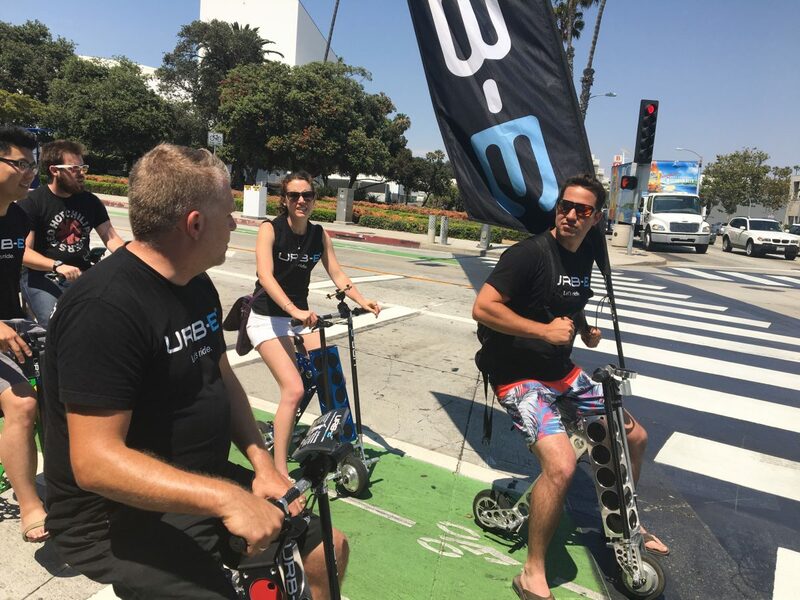 We couldn't have imagined a better start to summer than enjoying the California sunshine with our URB-E community! We started off the ride with free coffee and tune-ups at Caffe Luxxe. As soon as everyone was introduced and caffeinated, we hit the road! 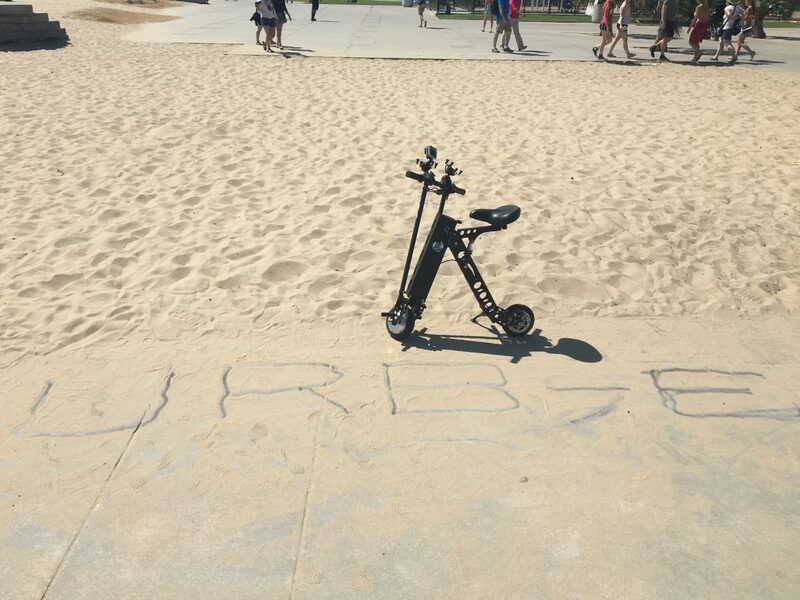 It’s amazing how perfect URB-E is for riding along city streets. 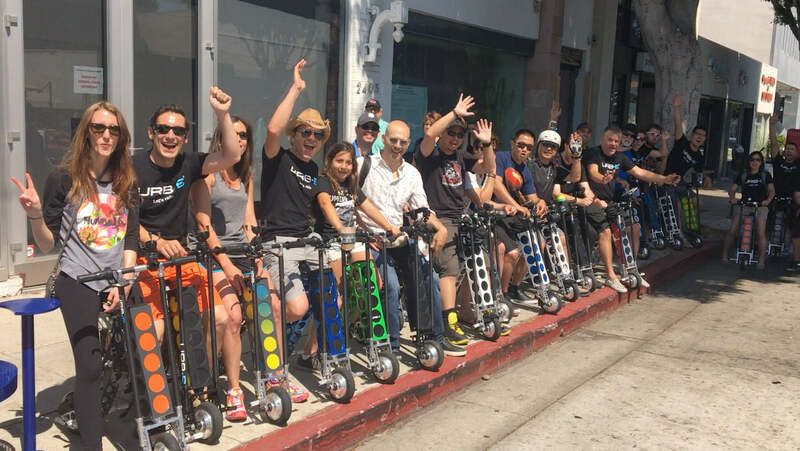 Over 30 of us fit easily in the bike lane as we cruised Santa Monica. We turned heads, but we definitely didn’t stop traffic! Main St. Santa Monica is practically designed for URB-E. Big green bike lanes and wide sidewalks made it easy to zip past traffic and wave to Santa Monica strollers as we passed, all without breaking a sweat. The weather was hot, so we stopped by Pressed Juicery for a 15% discount on cold, delicious juice. Next up, we rolled to the beach! Bikers were definitely jealous when they saw us whiz by. We cruised a huge swath of beach in minutes, and even had time for a photo op! Last stop: the Santa Monica Pier, a spot known for its talented street performers. No surprise, we found some acrobats who wanted to incorporate URB-E! We were definitely nervous, but the result was amazing! It was a spectacular day of sun and community. 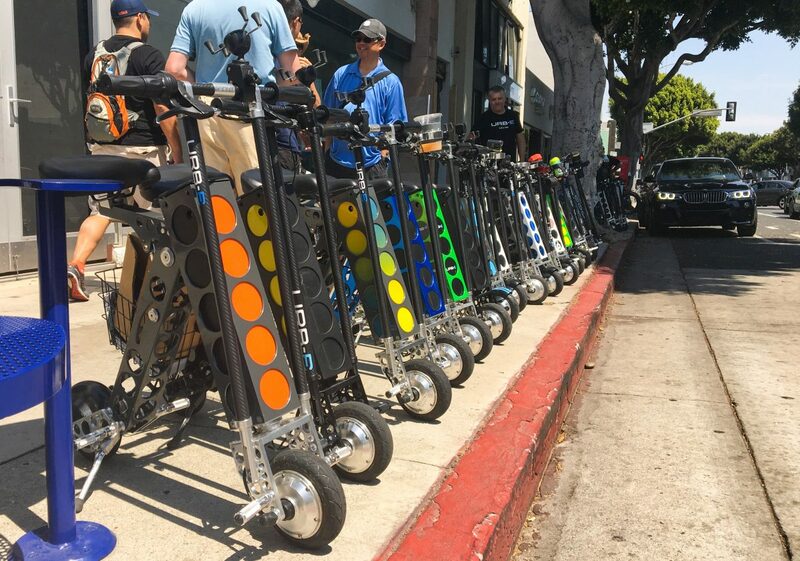 We love getting to know our riders better– every URB-E owner is as interesting and unique as URB-E itself. 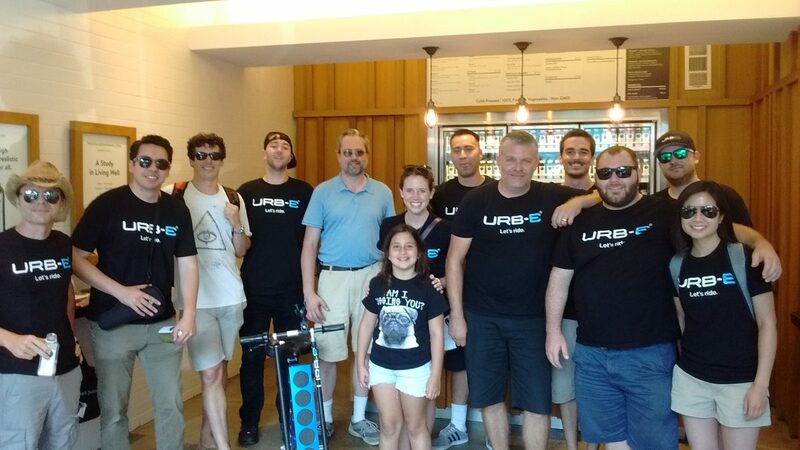 Thanks to the LA URB-E community for making our ride even better than we could have hoped for! Questions about URB-E? Want to schedule your own ride along? Call us at or email support@urban626.com.